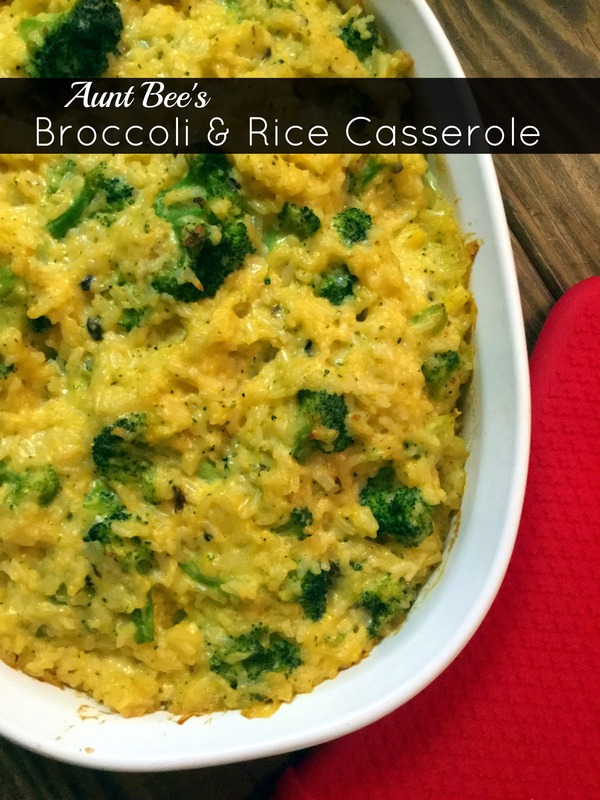 My hubby is a huge fan of the Broccoli & Rice Casserole from Cracker Barrel. (And their hash-brown casserole) I saw this recipe in an old casserole magazine and it looked so much like the one he loves, I had to give it a try. It turned out SO GOOD! It is an amazing side for any kind of chicken. We served it with Ritz-y Baked Chicken and some sauteed veggies & there wasn’t a drop left! You can also add a couple of cups of chopped cooked chicken and make a meal out of it. Perfect for a store bought rotisserie or leftover grilled chicken. I hope y’all give this one a try! In a large saucepan, bring the water, onion and butter to boil. Stir in rice and remove from heat. Cover and let stand for 5 minutes, or until water is absorbed. Stir in broccoli, soup and cheese sauce. Transfer to a greased 2 quart baking dish. Bake uncovered, at 350 degrees for 30 - 35 minutes or until bubbly. Enjoy! Is there any other soup that can be substituted for the mushroom soup? I don’t like mushrooms at all. I think cream of chicken or cream of broccoli or even cream of celery would work! This casserole has been in my family for 40 years with a slight variation. Slice a medium onion, like for a hamburger, then fourth each slice. Melt 1/2 stick of butter in skillet and add onion, saute until translucent. While you’re doing this, get a 2 quart pyrex dish and add 1-1/4 cup of uncooked minute rice. Boil 1 small pkg of broccoli florets until thawed. Do not over cook. Drain and put florets in casserole dish with the uncooked rice and stir. Now go back to your skillet with the saute onions and add 1 small can of cream of chicken soup. You can add about 1/4 of the soup can with water to the skillet to smooth out the soup. Then add 8 oz. of cheese whiz to the soup mixture, cooking on medium until all is blended. Pour mixture in pyrex dish with uncooked rice and broccoli and stir until blended well. Wipe upper inside with a paper towel for a better presentation. Bake at 350 for 30 to 35 minutes. This sounds wonderful! Thank you so much for posting it for us! I love the changes you made! Thanks so much for taking them time to let me know you liked it! 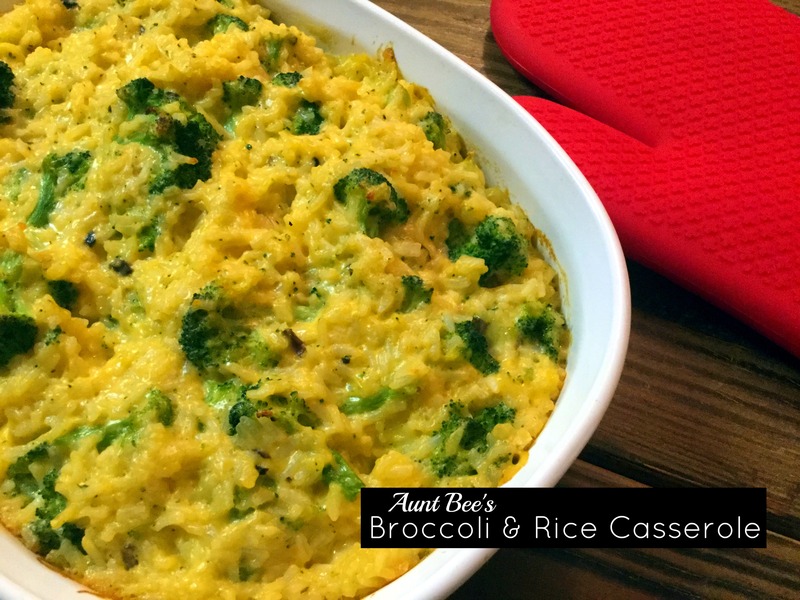 I have been looking for a recipe that tasted like the broccoli casserole I remember my mother making while growing up; this is it!!! It was delicious the first time I prepared it. I sautéed the onions instead of putting them in the boiling water. It was super awesome. I love this recipe. The second time I added chicken to the recipe and made a meal out of it. Either way, it will now be a stable in my household!! Thanks!! !